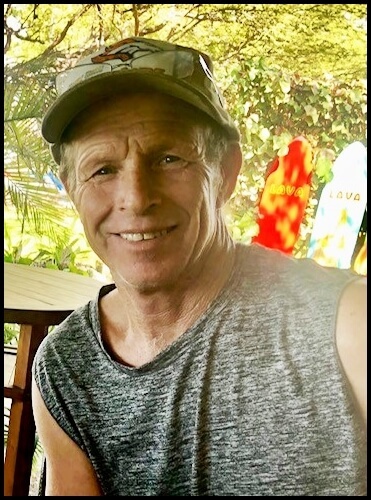 Eric Lee Deidiker, 59, of Brighton, CO, passed away on Wednesday, March 20th, 2019 at 7:41am at Platte Valley Medical Center after complications following lung surgery underwent on March 6th. He was husband to Lisa Deidiker, whom which he shared a love filled marriage for nearly 40 years. Born in Las Animas, CO on Leap Year Day, 1960 to Lila and Everett Deidiker. He grew up in Northglenn, CO where, his friend and brother-in-law, George Molson recounts, “they raised hell” on a weekly basis. By trade he was a brick mason. He started his own company, E.L.D. Masonry, in 1999 where he would build a reputation as “The Little General”, crafting perfect stonework projects for the most beautiful residential homes in Denver. Eric and his family moved into his dream home in Brighton, Colorado in 2008 where he would spend hours of every day creating and tending to his beautiful yard. It was his favorite thing to do. Most of all he was a generous provider for his family, whom he devoted his life. He lives on through, and will be remembered most, by all the advice he liked to give about money, gardening, and home improvement. He is survived by his wife, Lisa, children Crystal, Brent, and Danny, siblings Carolyn Elliott, John and Mark Deidiker and their families, and parents Everett and Lila Deidiker. There will be a Celebration of Eric’s life on Wednesday, March 27, 2019 beginning at 2:00pm at Horan & McConaty North Metro Thornton Family Chapel, 9998 Grant Street, Thornton Colorado 80229. Following the Celebration of Eric’s Life, the family invites you to a Reception beginning at 3:00pm, at the same location. Many of us chose to work in the Crafts as we enjoyed seeing a tangible and good looking product produced at the end of the day. I believe Eric was one of the ones motivated by that, and if so, he had a good reason to be satisfied every evening. Eric was creative, imaginative, productive and detail oriented. He was also a great person to have on your team (at least when he wasn’t getting on you for getting in his way and slowing him down ! ). I’m so sorry for your loss, I’m praying for you all. I will miss seeing Eric around the job sites, you could always count on his bantering and entertaining conversations. You could always rely on his professionalism, reliability and high quality craftsmanship. Several years ago I was getting ready to build a garage at my personal residence and during small talk he learned that I would be renting a bobcat to excavate for my foundation. He told me that was nonsense and that when I was ready, to just come by his job on Friday night and pick up his skidsteer, that the tank would be full and that he would have it loaded on the trailer and ready for me to use. I could use it all weekend and that it just needed to be back to his job first thing Monday morning. I thought about it for a while and then politely declined. He asked me why. I told him that with the luck I have sometimes, I didn’t want to damage it or the trailer and then have to pay to get it fixed. He looked at me like I was crazy and told me there was no way I could hurt that thing. I again told him that I appreciated the offer, but would prefer to rent one since he used his for his livelihood. He just shook his head and went back to work. He was always willing to help out if he could. He will be missed. From the Deidikers in Missouri, you have our deepest symphony regarding your loss. You will remain in our thoughts and prayers. Eric’s passing is sad time for me. His effort was consistent, and his workmanship extraordinary but most of all I will miss his outgoing and giving personality. I never needed anything from him that he was unwilling to give. Dan’s story above is typical of him. If any of you ever need ANYTHING from me please do not hesitate to ask. Much love from the entire BOA family at this time of loss. Many prayers and love coming your way. I’m so glad you guys had some precious time together recently. Love to the family. I had the privilege of working with Eric Since 1997. Not only was he a craftsman, a problem solver, dedicated, loyal, dependable and many other things, he was a great person who was concerned with others wellbeing. He always made sure to ask how the family was, and not superficially, he would ask specifically about a previous conversation we had. We always knew that when Eric said he would be there, he would be, maybe not always with Bells On, but he was there and prepared to work. It is not often you can find a craftsman anymore, someone who puts their heart into their work while showing concern for the final outcome for all involved. I also know Lisa was a great support to Eric and as a team they are a great example of strength. Eric will be missed as a Friend as well as on the job. Our thoughts are with the family.